So there was a big announcement yesterday from Lenovo, and if you've been scouring the sites lately, you'll have heard. Lenovo released the new Moto G series. The G4 series. Thank god they added in the number, I hated having to use the year schema... makes my G 3rd generation seem really old when I call it the Moto G 2015. 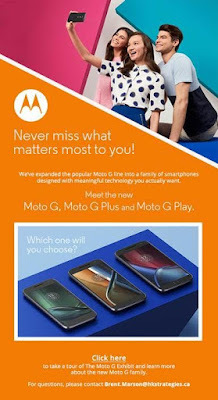 Well Lenovo released 3 devices yesterday, the G4, the G Plus, and the G Play. The only thing is the G4 isn't coming to Canada. Similar to how last year we weren't getting the 'pure' model, but got the 'play' for the X variants. But we are getting the G Play and the G Plus. The way it sits is the Plus will be the 'more flagship' device with the Play being the economical variant (see below for the table comparing them). The G Plus will be a 5.5" model with an octacore processor and a fingerprint scanner. The G Play will be a 5.0" model with a quadcore processor. 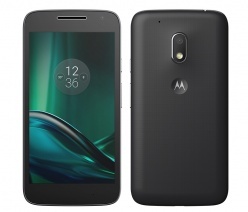 I'm excited to get my hands on these as the Moto G series has always been a really good bang for your buck. A lot of pop for not a lot of cash. Now, we don't know what they'll charge, but I'm sure we'll hear soon. Released Summer 2016 Summer 2016 Won't be available in Canada!! That’s how we designed the next generation of our best-selling smartphones, Moto G Plus and Moto G Play. Because we know people are unique and use their phones differently, each of them has meaningful technology, so you never have to miss what matters most to you. Tired of forgetting your passwords? Now you can. With a fingerprint reader typically found in more expensive devices, a touch is all you need to instantly wake up your phone. You can even use it to authorize purchases on the Google Play StoreTM. 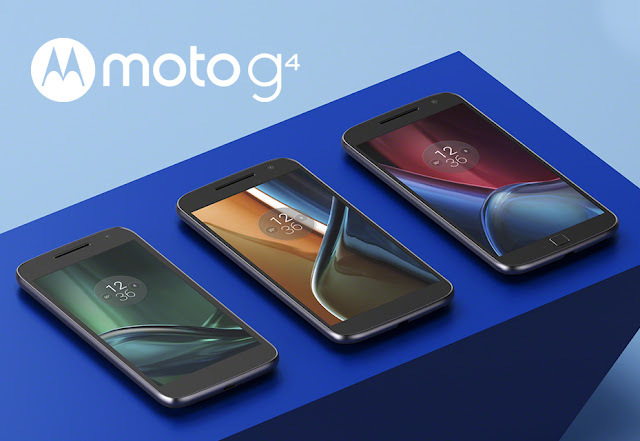 Moto G Play gives you more of what you love, like fast, reliable performance of a quadcore processor. It's designed to last a full day, thanks to its 2800 mAh battery. And it boosts performance by running a pure, clutter-free version of Android™. The best part? You only have to spend a little for a phone you’ll love a lot. 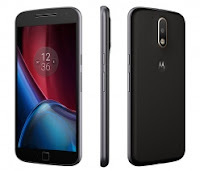 Moto G Plus will be broadly available in Canada starting early summer. Stay tuned for specific availability and pricing information. Moto G Play will be broadly available in Canada starting late summer. Stay tuned for specific availability and pricing information. *All battery life claims are approximate and based on an average user profile that includes both usage and standby. Actual battery performance will vary and depends on many factors including signal strength, network configuration, age of battery, operating temperature, features selected, device settings, voice, data, and other application usage patterns. **Battery must be substantially depleted; charging rate slows as charging progresses. All battery life claims are approximate and based on an average mixed use profile that includes both usage and standby time on a 4G LTE network. Out-of-box settings are applied to the mixed use profile to project battery performance. Actual battery performance will vary and depends on many factors including signal strength, network configuration, age of battery, operating temperature, features selected, device settings, and voice, data, and other application usage patterns. ^The comparison focuses on the "Photo" ratings only, not overall or video ratings. DxOMark Mobile is the trusted industry standard for independent image quality measurements and ratings of mobile device camera. Test results are available onwww.dxomark.com and in the press. 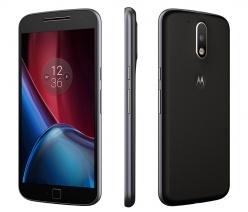 Information other than DxOMark Mobile scores is provided independently by MOTOROLA.